Follow your curiosity and participate in studies, that investigate how people react, make decisions and solve problems. You earn about 100 DKK per hour, help researchers at Aarhus University and have fun experiences. Come by our stand and learn more, participate in our contest and try an experiment in virtual reality. Meet SellmerDiers Sperm Bank and hear about your possibilities of being a sperm donor. fortune wheel to the fair where you can win several prizes. Come visit us in our booth and spin the wheel. to hear how we can help you abroad and enter our competition to win flight tickets to the US. Where are you a year from now? Almost anything is possible. Especially if you have a bank to support you. Drop by – and we’ll have a talk about your possibilities with Jyske Bank. At the Student Life Fair you can meet CrossFit Copenhagen which offers fun games to challenge your fitness. Come by and have a chat and find out what the most social and effective sport is about. 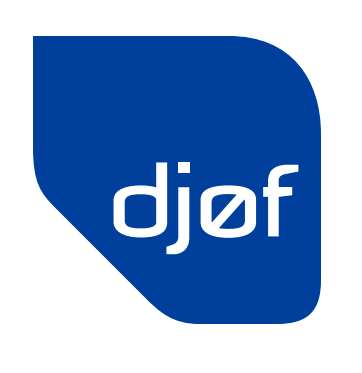 Djøf is a professional organisation representing more than 90.000 members across the country. It is your competent career partner offering students study-related courses, case competitions, social events, networks and mentors. Although being apolitical, we still fight for your study conditions to give you the best conceivable basis for your future career. Personal guidance including: contract reviews, career coaching and salary sparring. Feedback on CV and job application. Access to various discounts, e.g. banking, insurance and lots more. 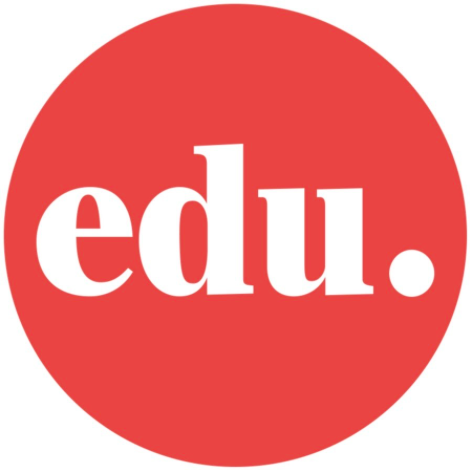 Danske Studie is our banking solution tailored for students. It includes both financial advice, cards and accounts, 24/7 support, Mobile banking and innovative digital solutions to help you stay in control of your finances. Visit us at the Student Fair Life, or call us at 45 130 100 to learn more. Looking forward to talking with you! Come talk with us at the fair and learn more about trading and the opportunities at InCommodities. At our stall all students are invited to try out a live trading desk, following prices in the market, seeing patterns and reacting on var­ious inputs. You will also get the chance to win prices and talk to some of the traders who have experience within the field and a lot of knowledge to share. Hiper is a Danish broadband company. We believe in freedom and we believe in an Internet where you get to decide. We love streaming, and we love customers who love streaming. Come visit us at the Student Life Fair to learn more about what we can deliver to you, get good offers and participate in competitions. We hope to see you there! Sign up for our Jobagent service at the stand and participate in the competition to win cool prizes. And find tips and guidance to apply for jobs as a recent graduate and advice to creating a CV at jobindex.dk. Become a free student member at Akademikernes A-kasse – and win a gift certificate of DKK 1,000 for CANblau Aarhus! Register at least one full year before you graduate. Register today for advantages here and now! If you have been a student member for at least one full year prior to finishing your studies, you avoid the exclusion period laid down in the unemployment benefit system, which otherwise means one month with no income if you are unemployed when graduating. The exclusion of one month corresponds to a loss of income of approximately DKK 13,000. We are the Danish representative for 56 universities and internships in Australia, Canada, China, England, India, Malaysia, New Zealand, The Netherlands, Singapore, USA and Vietnam. AIESEC is a global platform for young people to explore and develop their leadership potential. We are a non-political, independent, not-for-profit organisation run by students and recent graduates of institutions of higher education. Its members are passionate about world issues, leadership development, cultural understanding and experiential learning. The organisation spans 126 countries and territories and every aspect of AIESEC’s operations are managed by students and recent graduates. Since we were founded, we have engaged and developed over 1,000,000 young people who have been through an AIESEC experience. The impact of our organisation can be seen through our alumni who represent business, NGO and world leaders. SL Skiing Trip is the annually skiing trip for all students at Aarhus BSS with more than 400 participants. This year we are heading to Alpe d’Huez, France, where picnic, skiing, parties and ”hygge” is the keywords. HiFive Fitness is the gym in Aarhus where you get the best quality at the lowest price. At HiFive Fitness you get 2000 square meters of delicious new machines and a grand schedule of classes with the best and brightest instructors of the city – everything close to the city’s major places of study. HiFive is all about smiles, the joy of working out, and successful experiences. We welcome you to a free trial workout, if you haven’t tried us before. Barbershoppen is a wonderful place where men can be men without having to deal with female hair products and gossip. We offer both shaving and haircut, and we always serve a cold beer or soda. Are you squeezing your eyes to sharpen? Or do you suspect your glasses or contact lenses no longer have the right strength? Come and visit Synoptik for an eye check. With our eye test, we investigate your vision as it should be – easily and quickly. The eye test only takes five minutes & it’s free.